What makes a person a good leader? A leader that others are willing to follow and work with to accomplish tremendous things in the world and in the Church today? What is it that separates an effective from an ineffective leader? The answer is the character qualities of the individual person. The character of the leader is what makes a leader great. A great leader being someone who attracts people and makes things happen. Some leaders are born; others are not. But both need to grow and develop as leaders. 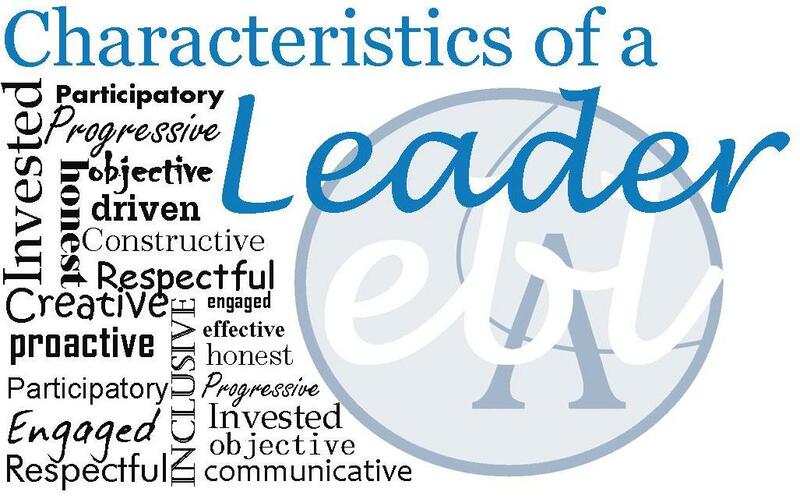 It is important that a potential leader recognize, develop, and refine the personal characteristics needed to be a truly effective leader, the kind people want to follow. Leadership development is essential. Leadership development is an inside job. You start by taking a really good look at who you really are on the inside and then make adjustments that will be seen on the outside – in your behaviour, attitude, values, morals, and approach to others with whom you relate. Leadership development is approached from the inside out. Leaders are effective because of who they are on the inside – in the qualities that make them up as people. And to be an effective leader people will follow, people have to develop these character traits from the inside out. Everything rises and falls on leadership. And leadership is developed from the inside out. If you can become the leader you ought to be on the inside you will be able to become the leader you want to be on the outside. And, people will want to follow you. How a leader deals with the circumstances of life tells you many things about his character. Crisis does not necessarily make character, but it certainly does reveal it. Adversity is a crossroads that makes a person choose one of two paths: character or compromise. Every time he chooses character, he becomes stronger even if that choice brings negative consequences. The development of character is at the heart of our development not just as leaders, but as human beings. Anyone can say that they have integrity, but action is the real indicator of character. Your character determines who you are. Who you are determines what you see. What you see determines what you do. That is why you can never separate a leader’s character from his actions. If a leader’s actions and intentions are continually working against each other, then look to his character to find out why. We have no control over a lot of things in life. We don’t get to choose our parents. We don’t select the location or circumstances of our birth or upbringing. We don’t get to pick our talents or IQ. But we do choose our character. In fact, we create it every time we make choices – to cop out or dig out of a hard situation, to bend the truth or stand under the weight of it, to take the easy money or pay the price. These daily choices that we make determine our ongoing character development. As you live your life and make choices today, you are continuing to create your character. True leadership always involves other people. As the leadership proverb says, “If you think you are leading and no one is following you, then you are only taking a walk.” Followers do not trust leaders whose character they know to be flawed, and they will not continue following them. Have you ever seen highly talented people suddenly fall apart when they achieve a certain level of success? The key to that phenomenon is character. People who achieve great heights but lack the bedrock or foundational character to sustain them through the stress and success are headed for disaster. They end up in one or more of the four A’s: Arrogance, painful feelings of aloneness, destructive adventure-seeking, or adultery. Each is a terrible price to pay for weak character. These cracks in your character will not go away with time or disappear with success. They will only become greater and more evident. Unaddressed cracks in character only get deeper and more destructive with time. Spend some time looking at the major areas of your life (work, marriage, family, ministry, etc. ), and identify anywhere you might have cut corners, compromised, or let people down. Write down every instance you can recall from the past few months. Examine the responses that you just wrote down. Is there a particular area where you have a weakness, or do you have a type of problem that keeps surfacing? Detectable patterns will help you diagnosed character issues. The beginning of character repair comes when you face your flaws, apologize, and deal with the consequences of your actions. Create a list of people to whom you need to apologize for your actions, then follow through with sincere apologies. It is one thing to face up to your past actions. It is another to build a new future. Now that you have identified any areas of weakness in your character, create a plan that will prevent you from making the same mistakes again. Most people think of charisma as something mystical, almost undefinable. Some think it is a quality that comes at birth or not at all. But that is simply not true. Charism, plainly stated, is the ability to draw people to you. And like other character traits, it can be developed. People enjoy and follow leaders who love and enjoy life. Think of the people you want to spend time with. How would you describe them? Grumpy? Bitter? Depressed? Of course not! They are celebrators, not complainers. They are passionate about life. If you want to attract people, you need to be like the people you enjoy being with. One of the best things you can do for people – which also attracts them to you – is to expect the best of them. Some call it “putting a 10 on everyone’s head.” It helps others think more highly of themselves, and at the same time, it also helps you to view them in a positive light. You need to see good in every person. If you appreciate others, encourage them, and help them reach their potential, they will love you for it and follow you as a leader. French General Napoleon Bonaparte characterized leaders as “dealers in hope.” Like all great leaders, he knew that hope is the greatest of all possessions. If you can be the person who bestows that gift on others, they will be attracted to you. They will be grateful. They will follow you. People love leaders who share themselves and their life journeys. As you lead people, give of yourself. Share wisdom, resources, and even special occasions. When you invite others into your special times (a training event, a fishing trip, your holidays…) you are telling them that they are important and personally valuable to you. When it comes to charisma, the bottom line is other-mindedness. Leaders who think about others and their concerns before thinking of themselves exhibit charisma. Reflecting on this character trait, how do you rate yourself when it comes to charisma? Are other people naturally attracted to you? Are you well liked? Staying away from these qualities will help anyone to cultivate charisma. Observe your interaction with people during the next few days. As you talk to others, determine how much of your conversation is concentrated on yourself. Determine to tip the balance in favour of focusing on others. Try an experiment. The next time you meet someone for the first time, try your best to make a good impression. Learn the person’s name. Focus on his interests. Be positive. And most important, treat him as a “10.” If you can do this for a day, you can do it every day. And this will increase your charisma overnight. Make it your long-term goal to share your resources with others. Think about how you can add value to five people in your life this year. They can be family members, colleagues, employees, or friends. Provide resources to help them grow personally and professionally, and share your personal journey with them. People do not follow uncommitted leaders. Commitment can be displayed in a full range of matters to include the work hours you choose to maintain, how you work to improve your abilities, or what you do for your fellow workers at a personal cost and even sacrifice. The world has never seen a great leader who lacked commitment. If you want to be an effective leader, you have to be committed. True commitment inspires and attracts people. It shows them that you have conviction. They will believe in you only if you believe in your cause. Some people want everything to be perfect before they are willing to commit themselves to anything. But commitment always precedes achievement. A leader is committed to do whatever is necessary to see the goal reached regardless of the personal cost to himself. Commitment starts in the heart of the leader. Heart is what separates the good from the great. So, if you want to make a difference in other people’s lives as a leader, look into your heart to see if you are really commitment to the cause, whatever your cause may be. As a leader, you will face plenty of obstacles and opposition – if you don’t already. And there will be times when commitment is the only thing that carries you forward. If you want to get anywhere worthwhile, you must be committed. What kind of person are you? Have you been reaching your goals? Are you achieving all that you believe you can? Do people believe in you and follow you readily? If your answer to any of these questions is “no,” the problem may be your level of commitment. Sometimes we think we are committed to something, yet our actions indicate otherwise. Take your calendar and your financial budget… spend a few hours tallying up how you spend your time and where you spend your money. Look at how much time you spend at work, in service to your community, with family, in health and recreation activities, and so forth. Figure out how much money you spend on living expenses, entertainment, personal development, and giving. All these things are true measures of your commitment. You may be seriously surprised at what you find. Spend some time alone answering those questions and meditating on what you find and your thoughts. Write down what you discover. Then see if your actions match your ideals. If taking the first step toward commitment is a problem, try doing what Thomas Edison did. When he had a good idea for an invention, he would call a press conference to announce it. Then he’d go into his lab and invent it. Make your plans public, and you might be more committed to following through with them. If a leader can’t get a message across clearly and motivate others to act on it, then having a message doesn’t even matter. Everyone who is wanting to be a leader needs to possess the ability to communicate. The success of your relationships, your friendships, your marriage, and your job, depends greatly on it. People will not follow you if they don’t know what you want or where you are going. Communication is not just what you say. It is also knowing how you say it. Contrary to what educators teach, the key to effective communication is simplicity. Forget about impressing people with big words or complex sentences. If you want to connect with people, keep it simple. Effective communicators focus on the people with whom they are communicating. They know it is impossible to effectively communicate to an audience without knowing something about them. As you communicate with people – whether individuals or groups – ask yourself these questions: Who is my audience? What are their questions? What needs to be accomplished? And, how much time do I have? If you want to become a better communicator, become audience oriented. People believe in great communicators because great communicators believe in people. Credibility precedes great communication. There are two ways to convey credibility to your audience. First, believe in what you say. Ordinary people become extraordinary communicators when they are fired up with conviction. The most powerful weapon on earth is the human soul on fire. Second, live what you say. There is no greater credibility than conviction in action. As you communicate, never forget that the goal of all communication is action. If you dump a bunch of information on people, you are not communicating. Every time you speak to people, give them something to feel, something to remember, and something to do. If you are successful in doing that, your ability to lead others will go to a new level. A leader must get things done through others. Therefore, the leader must have the ability to inspire and motivate, guide and direct, and listen. It’s only through communication that the leader is able to cause others to internalize his or her vision and implement it. How do you rate your ability to communicate with others? Is communication a priority for you? Can you inspire and motivate people? Do you express your vision in such a way that people are able to understand, internalize, and implement it? When you talk to people one-on-one, are you able to connect with them? If you know in your heart that your vision is great, yet people still do not buy into it, your problem may be an inability to communicate effectively. Examine an email, text, or other item that you have recently written. Are your sentences short and direct, or do they meander? Will your readers be able to grasp the words you have chosen, or will they have to scramble for a dictionary? Have you used the fewest words possible? To a communicator, your best friends are simplicity and clarity. Write your next piece of communication keeping both in mind. During the coming week, pay attention to your focus when you communicate. It is on you, your material, or your audience? If it’s not on people, you need to change it. Think about their needs, questions, and desires. Meet people where they are, and you will be a better communicator. Are there any discrepancies between what you communicate and what you do? Talk to a few trustworthy people and ask them whether you are living your message. Your spouse, a mentor, or a close friend may be able to see things that you are blind to. Receive their comments without defensiveness. Then purpose to make changes in your life to be more consistent. Competence goes beyond words. It’s the leader’s ability to say it, plan it, and do it in such a way that others know that you know how – and know that they want to follow you. We all admire people who display high competence, whether they are precision craftsmen, world-class athletes, or successful business or church leaders. But the truth is that you can grow in your area of interest and expertise and become more competent. There is a saying, “All things come to him who waits.” Unfortunately, sometimes it’s just the leftovers from the people who got there first. Responsible people show up when they are expected. But highly competent people take it a step farther. They don’t show up in body only. They come ready to play every day – no matter how they feel, what kind of circumstances they face, or how difficult they expect the game to be. All highly competent people continually search for ways to keep learning, growing, and improving. They do that by asking ‘why.’ After all, the person who knows ‘how’ will always have a job, but the person who knows ‘why’ will always be the leader. I have never met a person who I would consider competent who didn’t follow through. Quality is never an accident; it is always the result of high intention, sincere effort, intelligent direction, and skilled execution; it represents the wise choice of many alternatives. Performing at a high level of excellence is always a choice, an act of the will. As leaders, we expect our people to follow through when we hand them the ball. They expect that and a whole lot more from us as their leaders. Highly competent people always go the extra mile. For them, good enough is never good enough. Leaders cannot ford to have that kind of attitude. They need to do the job well, and then some – day in and day out. Highly competent leaders do more than perform at a high level. They inspire and motivate other people to do the same. While some people rely on relational skills alone to survive, effective leaders combine these skills with high competence to take their organizations and teams to new levels of excellence and influence. So, where do you stand when it comes to getting the job done? Do you attack everything you do with fervour and perform at the highest level possible? Or is good enough sometimes good enough? When it comes to your job or your profession, where do you consistently perform? Are you a thinker, a doer, or a clutch player? The better you are, the greater potential for influence you will have with your people. If you have been mentally or emotionally detached from your work, it is time to reengage. First, rededicate yourself to your current job. Determine to give it an appropriate amount of your undivided attention. Second, figure out why you have become detached. Do you need new challenges? Are you in conflict with your boss or coworkers? Are you in a dead-end job? Identify the source of the problem, and create a plan to resolve it. If you are not performing at a consistently high level, reexamine your standards. Are you shooting too low? Do you cut corners? If so, hit your mental reset button, and outline more demanding expectations of yourself. Nobody keeps improving without being inventional about it. Do a little research to find three things you can do to improve your professional and leadership skills. Then dedicate the time and money to follow through on them. You are only as good as your private standards. When was the last time you gave a task your absolute best even though nobody but you would know about it? This is where competence starts. Every great leader exhibits courage in their personal lives and in the decisions they make in their chosen field – business, research, government or Church. Whenever you see significant progress in an organization, you know that the leader made courageous decisions. A leadership position does not give a person courage, but courage can give him a leadership position. Every test you face as a leader begins within you. The test of courage is no different. All the significant battles are waged within self. Courage is not an absence of fear. It is doing what you are afraid to do. It’s having the power to let go of the familiar and forge ahead into new territory. Great leaders have good people skills, and they can get people to compromise and work together. But they also take a stand when needed. If you don’t have the ability to see when to stand up and the conviction to do it, you will never be an effective leader. Your dedication to potential must remain stronger than your desire to appease others. A show of courage by any person encourages others. But a show of courage by a leader inspires. It makes people want to follow him. Courage not only gives you a good beginning, but it also provides a better future. What is ironic is that those who don’t have the courage to take risks and those who do, experience the same amount of fear in life. The only difference is that those who don’t take chances worry about trivial things. If you’re going to have to overcome your fear and doubts anyway, you might as well make it count. How do you tend to handle fear? Do you embrace it? Are stretching experiences a regular part of your daily life? Or have you retreated so far into your comfort zone that you don’t ever even feel fear? How must you change to develop a spirit of courage in your life? Go out and do something stretching simply for the sake of growing in courage. Skydive. Speak in front of an audience (most people’s greatest fear). Perform a play. Go white-water rafting. Rock climb. It doesn’t matter what you do as long as it causes you to face a genuine fear. Maybe you have been afraid to make a career move. If you have known in your heart that you should have changed jobs or started a new business, now is the time to face up to it. Take the time to really look at it. Talk to your spouse, your mentor, and a trusted friend or two. If it is the right thing to do, then do it. A courageous act often brings unexpected positive results. Discernment can be described as the ability to find the root of the matter, and it relies on intuition as well as rational thought. Leaders of large organizations (even churches) must cope with tremendous chaos and complexity every day. They are never able to gather enough information to get a complete picture of just about anything. As a result, they have to rely on discernment. Discernment enables a leader to see a partial picture, fill in the missing pieces intuitively, and find the real heart of a matter. If you can see the root issue of a problem, you can solve it. The closer a leader is to his area of gifting, the stronger his intuition and ability to see the root cause. If you want to tap into your discernment potential, work in your area of strength. Management consultant Robert Heller has this advice: “Never ignore a gut feeling, but never believe that it’s enough.” Discernment isn’t relying on intuition alone, nor is it relying only on intellect. Discernment enables you to use both your gut and your head to find the best option for your people and your organization. People who lack discernment are seldom in the right place at the right time. Although great leaders often appear to be lucky to some observers, I believe leaders create their own “luck” as the result of discernment, that willingness to use their experience and follow their instincts. Are you a discerning leader? When faced with complex issues, can you readily identify the heart of the matter? Are you able to see root causes of difficult problems without having to get every bit of information? Do you trust your intuition and rely on it as much as you do your intellect and experience? If not, you need to cultivate it. Value nontraditional thinking. Embrace change, ambiguity, and uncertainty. Broaden your horizons experientially. Your intuition will only increase with use. Look at some problems you solved successfully in the past. What was the root issue in each problem? What enabled you to succeed? If you can capture the heart of the matter in a few words, you can probably learn to do it with future issues. Which great leaders do you admire? Pick some whose profession or gifting is similar to yours, and read their biographies. By learning how other discerning leaders think, you can become more discerning. Try to recall times when your intuition”spoke” to you and was correct (you may or may not have listened to it at the time). What do these experiences have in common? Look for a pattern that may give you insight into into your intuitive ability. What does it take to have the focus required to be a truly effective leader? The keys are: priorities and concentration. A leader who knows his priorities but lacks concentration knows what to do but never gets it done. If he has concentration but no priorities, he has excellence without progress. But when he harnesses both, he has the potential to achieve great things. To be successful, focus on your strengths and develop them. That’s where you should pour your time, energy, and resources. Growth equals change. If you want to get better, you have to keep changing and improving. That means stepping out into new areas. If you dedicate time to new things related to areas of strength, then you will grow as a leader. Don’t forget: in leadership, if you are through growing, you are through. Nobody can entirely avoid working in areas of weakness. The key is to minimize it as much as possible, and leaders can do it by delegating. How would you rate yourself in the area of focus? Have you been majoring in minor things? Have you spent so much time shoring up your weaknesses that you have failed to build up your strengths? Do the people with the least potential monopolize your time? If so, you have probably lost focus. 1> Work on yourself – You are your greatest asset or detriment. Make a list of three or four things you do well in your job. What percentage of your time do you do spending them? What percentage of your resources is dedicated to these areas of strength? Devise a plan to make changes, allowing you to dedicate 70% of your time to your strengths. If you can’t, it may be time to reassess your job or career. Identify three or four activities necessary for your job that you don’t do well. Determine how you can delegate the jobs to others. Will it require hiring staff? Or finding volunteers? Can you partner with a coworker to share responsibilities? Develop a plan. Now that you have looked at priorities, think about concentration. What would it take for you to go to the next level in your main area of strength? What new tools do you need? Rethink how you do things, and be willing to make sacrifices. Time and money spent to take you to the next level are the best investment you can make. And, remember, divided focus always works against you. Nothing speaks to others more loudly or serves them better than generosity from a leader. True generosity is not an occasional event. It comes from the heart and permeates every aspect of a leader’s life, touching his time, money, talents, and possessions. Effective leaders, the kind that people want to follow, don’t gather things just for themselves; they do it in order to give to others. It’s hard for a person to be generous when he is not satisfied with what he has. Generosity rises out of contentment, and that does not come with acquiring more. If you are not content with little, you won’t be content with a lot. And, if you are not generous with little, you won’t suddenly change if you become wealthy. The measure of a leader is not the number of people who serve him or her, but the number of people they serve. Generosity requires putting others first. If you can do that, giving become much easier. People today can be divided into three groups: “Haves, have-nots, and have not paid for what they have.” More and more people are becoming enslaved to the desire to acquire. If you want to be in charge of your heart, don’t allow possessions to take charge of you. Someone once said that when it comes to money, you can’t win. If you focus on making it, you are materialistic. If you try to but don’t make any, you’re a loser. If you make a lot and keep it, you’re a miser. If you make it and spend it, you’re a spendthrift. If you don’t care about making any, you are unambitious. If you make a lot of it and still have it when you die, you’re a fool – for trying to take it with you. In 1889, millionaire industrialist Andrew Carnegie wrote an essay called “Gospel of Wealth.” In it he said that the life of a wealthy person should have two periods: a time of acquiring wealth and one of redistributing it. The only way to maintain an attitude of generosity is to make it your habit to give – your time, attention, money, and resources. If you are enslaved by greed, you cannot lead. Do you continually look for ways to add value to others? Are you giving money to something greater than yourself? And to whom are you giving your time? Are you pouring your life into others? Are you helping those who cannot help you or give anything in return? If you are not giving in the small areas of your life, you are probably not as generous a leader as you could be. Find out what kind of hold your possessions have on you. Take something you truly value, think of someone you care about who could benefit from it, and give it to him. If you can do it anonymously, even better. If you know someone with the vision to do something really great – something that will positively impact the lives of others – provide resources for him to accomplish it. Put your money to work for something that will outlive you. Once you reach a certain level in your leadership, the most valuable thing you have to give is yourself. Find someone to pour your life into. Then give him time and resources to become a better leader. A comedian once said, “Once I make up my mind, I’m full of indecision.” Unfortunately, that’s the way many people actually operate. But no one can be both indecisive and effective. The starting point of all achievement is desire. If you are going to be an effective leader you have got to know what you want. That’s the only way you will recognize opportunity when it comes. There is an old saying, “You can if you will.” Initiators don’t wait for other people to motivate them. They know it is their responsibility to push themselves beyond their comfort zone. And they make it a regular practice. Even though initiating leaders experience more failure, they don’t let it bother them. The greater to potential, the greater the chance for failure. Senator Robert Kennedy summed it up: “Only those who dare to fail greatly can ever achieve greatly.” If you want to achieve great things as a leader, you must be willing to initiate and put yourself on the line. Are you an initiator? Are you constantly on the lookout for opportunity, or do you wait for it to come to you? When was the last time you initiated something significant in your life? If you haven’t pushed yourself lately and gotten out of your comfort zone, you may need to jump-start your initiative. If you lack initiative, recognize that the problem comes from the inside, not from others. Determine why you hesitate to take action. Does risk scare you? Are you discouraged by past failures? Do you not see the potential that opportunity offers? Find the source of your hesitation, and address it. You won’t be able to move forward on the outside until you can move forward on the inside. Opportunity does not come to the door knocking. You have got to go out and look for it. Take stock of your assets, talents, and resources. Doing that will give you an idea of your potential. Now, spend every day for a week looking for opportunities. Where do you see needs? Who is looking for the expertise you have? What unreached group of people is practically dying for what you have to offer? Opportunity is everywhere. It is one thing to see opportunity. It’s another thing to do something about it. As someone once quipped, “everyone has a great idea in the shower. But only a few people step out, dry off, and do something about it.” Pick the best opportunity your see, and take it as far as you can. Don’t stop until you have done everything you can to make it happen. It will take a bold step from you today to reach your potential tomorrow. To connect with their hearts, use your ears. One of the Laws of Leadership is that the leader must touch a heart before they ask for a hand. (The Law of Connection). But before a leader can touch a person’s heart, he has to know what’s in it. He learns that by listening. An unwillingness to listen is too common among poor leaders. Peter Drucker, the father of American management, believes that 60 percent of all management problems are the result of faulty communications. Others would say that the over-whelming majority of communication problems come from poor listening. Good leaders, the kind that people want to follow, do more than conduct business when they interact with followers. They take the time to get a feel for who each one is as a person. Philip Stanhope, the Earl of Chesterfield, believed, “many a man would rather you heard his story than grant his request.” If you are in the habit of listening only to the facts and not the heart of the person who expresses them, change your focus – and really listen. Good leaders always make it a priority to keep in contact with the people they are serving. Sam Markewich announced, “If you don’t agree with me, it means you haven’t been listening.” Though he was no doubt making a joke, the sad truth is that when a leader sees another organization as competition, he focuses his attention on building his own case or championing his cause and forgets to learn from what the other group is doing. Larry King says, “I remind myself every morning: nothing I say this day will teach me anything. So if I’m going to learn, I must do it by listening.” As a leader, you don’t want to base your actions on what the other guy is doing, but you should still listen and learn what you can to improve yourself. No leader is so advanced or experienced that he can afford to be without a mentor. I have learned so much from leaders who have more experience than I have. If you don’t already have a mentor, go out and find one. If you can’t get someone to help you in person, begin the process by reading books. That’s where I got started. The main thing is to get the process of growing and learning underway. Are you a good listener? Or, are you too busy doing your own thing and hearing the sound of your own voice? When was the last time you really paid close attention to people and what they have to say? Do more than just grab onto some facts. Stop using what they say as a springboard to jump into what you are thinking. Start listening not only for words, but also for feelings, meanings, and undercurrents. Do you spend time listening to your followers, customers, competitors, and mentors? If you don’t have all four groups on your calendar regularly, you are probably not giving them enough attention. Schedule in time for each of them on a daily, weekly, or monthly basis. A key to being a good listener is to find common ground with people. The next time you meet with an employee, a customer, a staff member, discipline yourself to ask four or five questions about them as a person. Get to know who they are, and seek common ground to build your connection with them. As you interact with people, you certainly want to pay attention to the factual content of the conversation. But don’t ignore the emotional content. Sometimes you can learn more about what’s really going on by reading between the lines. Spend time in the coming days and weeks listening with your heart. The only way to find out what you’re missing is to really start listening. If you look at the lives of effective leaders, you will find they often don’t fit into a stereotypical mold. For example, more than 50 percent of all CEOs of Fortune 500 companies had C or C- averages in collage. Nearly 75 percent of all U.S. presidents were in the bottom half of their school classes. And more than 50 percent of all millionaires entrepreneurs never finished college. What makes it possible for people who might seem ordinary to achieve great things? The answer is passion. Nothing can take the place of passion in a leader’s life. Anyone who lives beyond an ordinary life has great desire. It’s true in any field: weak desire brings weak results, just as a small fire creates little heat. The stronger your fire, the greater the desire – and the greater the potential. The philosopher took the young man down to the sea, waded in with him, and then dunked him under the water for thirty seconds. When he let the young man up for air, Socrates asked him to repeat what he wanted. There is no substitute for passion. It if fuel for the will. If you want anything badly enough, you can find the willpower to achieve it. The only way to have that kind of desire is to develop passion. If you follow your passion – instead of others’ perceptions – you can’t help becoming a more dedicated, productive person. And that increases your ability to impact others. In the end, your passion will have more influence than your personality. Human beings are so made that whenever anything fires the soul, impossibilities vanish. A fire in the heart lifts everything in your life. That’s why passionate leaders are so effective. A leader with great passion and few skills always outperforms a leader with great skills and no passion. Is passion a characteristic of your life? Do you wake up feeling enthusiastic about your day? Is the first day of the week your favourite, or do you live from weekend to weekend, sleepwalking through your everyday routine? How long has it been since you couldn’t sleep because you were too excited by an idea? If passion is not a quality in your life, you are in trouble as a leader. The truth is that you can never lead something you don’t care passionately about. You can’t start a fire in your organization unless one is first burning in you. How passionate are you about your life and work? Does it show? Get an honest assessment by querying several coworkers and your spouse about your level of desire. You won’t become passionate until you believe passion can be the difference maker in your life. Many people allow life and its circumstances to get them off track. Think back to when you were just starting in your career – or even further back to when you were a child. What really turned your crank? What could you spend hours and hours doing? Try to recapture your old enthusiasm. Then evaluate your life and career in light of those old loves. It sounds hokey, but birds of a feather really do flock together. If you have lost your fire, get around some firelighters. Passion is contagious. Schedule some time with people who can infect you with it. If you desire to be an effective leader, having a positive attitude is essential. It not only determines your level of contentment as a person, but it also has an impact on how others interact with you. The average person wants to wait for someone else to motivate him. He perceives that his circumstances are responsible for the way he thinks. But which comes first – the attitude or the circumstances? That’s really a chicken-or-the egg kind of question. The truth is that it doesn’t matter which came first. No matter what happened to you yesterday, your attitude is your choice today. Family life expect Denis Waitley addresses this issue: “The winner’s edge is not in a gifted birth, a high IQ, or in talent. The winner’s edge is all in the attitude, not aptitude. Attitude is the criterion for success.” Your attitude is crucial because it determines how you act. If you already have a positive attitude, I want to encourage you to keep it up. On the other hand, if you have a difficult time expecting the best of yourself and others, don’t despair. Because you choose your attitude, you can change it. English heart surgeon, Martyn Lloyd-Jones asserted, “Most unhappiness in life is due to the fact that you are listening yo yourself rather than talking to yourself.” What kind of voices do you hear? When you meet people, do you tell yourself they’ll let you down? When you face new experiences, does a voice in your head say you are going to fail? If you are hearing negative messages, you need to learn to give yourself positive mental pep talks. The best way to retrain your attitude is to prevent your mind from going down any negative forks in the road. If you have been starved of anything positive, then you need to start feeding yourself a regular diet of motivational material. Read books that encourage a positive attitude. Listen to motivational talks. The more negative you are, the longer it will take to turn your attitude around. But if you consume a steady diet of the right “food,” you can become a positive thinker. Some people get into a rut of negativity because they feel that are not making progress. If that describes you, then begin setting achievable daily goals for yourself. A pattern of positive achievement will help you develop a pattern of positive thinking. We all need reminders to help us keep thinking right. Alex Haley used to keep a picture in his office of a turtle on a fence post to remind himself that everybody needs the help of others. As incentive, people put up awards they have won, inspirational posters, or letters they have received. Find something that will work for you and put it on your wall. Is your mind “conditioned” to win the key points ahead of you? Effective leaders always rise to a challenge. That’s one of the things that separates winners from whiners. Leaders do not complain, they rise above that by solving problems with creativity and tenacity. Since problems are inevitable, good leaders anticipate them. Anyone who expects the road to be easy will continually find himself in trouble. If you keep your attitude positive but plan for the worst, you will find yourself in a good position to solve problems that come your way. No leader can simultaneously have his head in the sand and navigate his people through troubled waters. Effective leaders face up to the reality and truth of the situation. Leaders must continually see the big picture. They cannot afford to be overwhelmed by emotion. Nor can they allow themselves to get so bogged down in the details that they lose sight of what’s important. The leaders who get into trouble most often are the ones who are overwhelmed by the sheer size or volume of their troubles and then dabble at problem solving. If you are faced with lots of problems, make sure you really solve the one you are working on before moving on to the next one. Effective leaders understand the peak-to-peak principle. They make major decisions when they are experiencing a positive swing in their leadership, not during the dark times. They knows not to give up when they are in the valley. So, thinking about all this…. Every problem you face, introduces you to yourself. It shows you how you think and what you are truly made of. When you come face-to-face with a problem, how do you react? Do you ignore it and hope it will go away? Do you feel powerless to solve it? Have you had such bad experiences trying to solve problems in the past that you have just given up? Or, do you tackle them willingly? The ability to solve problems effectively comes from experience facing and overcoming obstacles. Each time you solve another problem, you get a little better at the process. But if you never try, fail, and try again, you will never be good at it. If you are avoiding problems, go out looking for them. You will get better if you gain experience dealing with them. Find situations that need fixing, come up with several viable solutions, and then take them to a leader with good problem-solving experience. You will learn from his decisions how he thinks when handling difficulties. If you are not a good problem solver, bring others onto your team who are. They will immediately complement your weaknesses, and you will also learn from them. The ability to work with people and develop decent relationships is absolutely indispensable to effective leadership. According to the May 1991 issue of Executive Female magazine, a survey was taken of employees asking for the top three traits they desired in employees. Number one on the list was the ability to relate to people: 84 percent responded that they sought good interpersonal skills. Only 40 percent listed education and experience in their top three. And if employees need good people skills, think about how much more critical those skills are for leaders. People truly do want to go along along with people they get along with. And, while someone can have people skills and not be a good leader, he cannot be a good leader without decent people skills. Recognizing these truths, a leader must still be able to treat people as individuals. The ability to look at each person, understand him, and connect with him is a major factor in relational success. This sensitivity can be called the soft factor of leadership. You have the ability to adapt your leadership style to the person you are leading. People respect a leader who keeps their interests in mind. If your focus is on what you can put into people rather than what you can get out of them, they will love and respect you – and these create a great foundation for building solid relationships. Do you mix well with strangers? Do you interact well with all kinds of people? Can you find common ground readily? Are you able to sustain relationships? If your relational skills are weak, your leadership will always suffer. If your ability to understand people needs improvement, jump-start it by reading several good books on the subject. Then spend more time observing people and talking to them to apply what you are learning. If you are not as caring towards others as you could be, you need to get the focus off yourself. Make a list of little things you could do to add value to friends and colleagues. Then try to do one of them every day. Don’t wait until you feel like it to help others. Act your way into feeling. Think of a valued long-term relationship that has failed. Do what you can to rebuild it. Get in touch with the person and try to reconnect. If you had a falling out, take responsibility for your part in it, and apologize. Try to better understand, love, and serve that person. Never underestimate the power of relationships on people’s lives. People today don’t focus on their responsibilities, they rather focus more on their rights. Along with this people have embraced a victim mentality … whatever is happening to them or in the project they are involved in … it is always someone else’s fault and not their responsibility. Good leaders never embrace a victim mentality. They recognize that who and where they are remain their responsibility – not that of their parent, their spouses, their children, the government, their bosses, or their coworkers. They face whatever life throws at them and give it their best, knowing that they will get an opportunity to lead the team only if they have proved that they can carry the ball. In a study of self-made millionaires, Dr. Thomas Stanley of the University of Georgia found that they all have one thing in common: they work hard. One millionaire was asked why he worked 12 to 14 hours a day. No one can do the minimum and reach his maximum potential. How do people maintain a get-it-done attitude? If you want to achieve more and build your credibility with followers, adopt that mind-set. Responsible people never protest, “That’s not my job.”They are willing to do whatever it takes to complete the work needed by the organization. If you want to succeed, be willing to put the organization ahead of your agenda. Excellence is a great motivator. People who desire excellence – and work hard to achieve it – are almost always responsible. And when they give their all, they live with an inner peace. Make high quality your goal, and responsibility will naturally follow. If you want to lead, you have got to produce. Are you on target when it comes to responsibility? Do others see you as a finisher? Do people look to you to carry the ball in pressure situations? Are you known for excellence? Sometimes an inability to deliver despite difficult circumstance can be due to a persistence problem. The next time you find yourself in a situation where you are going to miss a deadline, lose a deal, or fail to get a program off the ground, stop and figure out how to succeed. Think outside the lines. Can you work through the night? Can you call a colleague to help you? Can you hire a staff member or find a volunteer to help? Creativity can bring responsibility to life. If you have trouble achieving excellence, maybe you have lowered your standards. Look to your personal life for p[laces where you’ve let things slip. Then make changes to set higher standards. It will help you to reset the bar of excellence for yourself. If you find that your standards are high. Your attitude is good, and you consistently work hard – and you still don’t achieve the way you’d like – get better equipped. Improve your skills by taking classes, reading books, and listening to teachings. Find a mentor. Do whatever it takes to become better at what you do. To be a secure and strong leader you must not appear to have doubts about yourself and what you believe. You need to be absolutely secure in your leadership call. That is the case for all great leaders no matter what area of competence they are working in and who or how many they are leading. No one can live on a level inconsistent with the way he sees himself. You may have observed that in people. If someone sees himself as a loser, he finds a way to lose. Anytime his success surpasses his security, the result is self-destruction. That’s not only true for followers, but it is also true for leaders. Whatever negative baggage you have in life only gets more difficult to bear when you’re trying to lead others. Just as people without skill cannot impart skill to others, people without security cannot make others feel secure. And for a person to become an effective leader, the kind that others want to follow, he needs to make his followers feel good about themselves. Insecure people are on a continual quest for validation, acknowledgement, and love. Because of that, their focus is on finding security, not instilling it in others. They are primarily takers rather than givers, and takers do not make good leaders. Show me an insecure leader, and I will show you someone who cannot genuinely celebrate his people’s victories. He might even prevent them from realizing any victories. Or he might take credit personally for the best work of his team. An insecure leader hoards power and does not empower and release others to minister and work with him. In fact, the better his people are, the more threatened he feels – and the harder he will work to limit their success and recognition. When followers are undermined and receive no recognition, they become discouraged and eventually stop performing at their potential. And when that happens, the entire organization suffers. In contract, secure leaders are able to believe in others because they believe in themselves. They are not arrogant; they know their own strengths and weaknesses and respect themselves. When their people perform well, they don’t feel threatened. They go out of their way to bring the best people together and then build them up so that they will perform at the highest level. And when a secure leader’s team succeeds, it brings him great joy. He sees that as the highest compliment he can receive for his leadership ability. How well do you understand and respect yourself? Do you know your strengths and feel good about them? Have you recognized your weaknesses and accepted the ones you can’t change? When a person realizes that he is created with a particular personality type and has unique gifts, he is better able to appreciate the strengths and successes of others. How secure are you as a leader? When a follower has a great idea, do you support it or suppress it? Do you celebrate your people’s victories? When your team succeeds, do you give the team members credit? If not, you may be dealing with insecurity, and it could be limiting you, your team, and your organization. If you are the kind of person who is not naturally self-aware, take time to learn about yourself. Take a personality test. Ask several people who know you well to name your three greatest talents and your three created weaknesses. You may not believe that you can succeed if others receive the praise for the job your team is doing. Try it. If you assist others and acknowledge their contributions, you will help their careers, lift their morale, and improve the organization. And it will make you look like an effective leader. If you cannot overcome feelings of insecurity on your own, seek professional help. Get to the root of your problems with the assistance of a good counsellor, not only for your own benefit but also for that of your people. Don’t let insecurity prevent you from reaching your potential. The first person you lead is you! No one achieves and sustains strong leadership and thus success without the power of self-discipline. And, no matter how gifted a leader is, his gifts will never reach their maximum potential without the application of self-discipline. Self-discipline positions a leader to go to the highest level and is a key to leadership that lasts. Anyone who does what he must only when he is in the mood or when it is convenient isn’t going to be successful. Nor will people respect and follow him. As a leader, you already have too little time. Now all you need is a plan. If you can determine what is really a priority and release yourself from almost everything else, it is a lot easier to follow through on what’s important. And, that’s the essence of self-disciple. To be a successful leader, you need to realize that self-disciple can’t be a one-time event. It has to become a lifestyle. One of the best ways to do that is to develop systems and routines, especially in areas crucial to your long-term growth and success. To develop a lifestyle of discipline, one of your first tasks must be to challenge and eliminate any tendency to make excuses. If you have several reasons why you can’t or won’t be self-discipled, realize that they are really just a bunch of excuses – all of which need to be challenged if you want to go to the next level as a leader. If you lack self-disciple, you may be in the habit of having dessert before eating your vegetables. Anytime you concentrate on the difficulty of the work instead of its rewards or results, you are likely to become discouraged. Dwell on it too long, and you will develop self-pity instead of self-discipline. The next time you are facing a must-do task and you are thinking of doing what’s convenient instead of paying the price, change your focus. Count the benefits of doing what’s right, and then dive in. “Talent without disciple is like an octopus on roller skates. There’s plenty of movement, but you never know if it’s going to be forward, backwards, or sideways.” H. Jackson Brown Jr. If you know that you have talent, and you’ve seen a lot of motion – but little concrete results – you may lack self-disciple. How much of your time did you devote to regular, disciplined activities? Did you do anything to grow and improve yourself professionally? Did you engage in activities promoting good health? Did you dedicate part of your income to savings or investments? If you are putting off those things, telling yourself that you’ll do them later, you may need to work on your self-disciple. Think about which two or three areas of life are more important to you. Write them down, along with the disciplines that you must develop to keep growing and improving in those areas. Develop a plan to make the disciples a daily or weekly part of your life. Take the time to write out the benefits of practicing the disciples you have just listed. Then post the benefits some place where you will see them daily. On the days when you don’t want to follow through, reread your list. Write down every reason why you might not be able to follow through with your disciplines. Read them through. You need to dismiss them as the excuses they are. Even if a reason seems legitimate, find a solution to overcome it. Don’t leave yourself any reasons to quit. Remember, only in the moment of disciple do you have the power to achieve your dreams. Plant the tree of self-disciple in your life today. To get ahead, put others first. When you think of servanthood, do you envision it as an activity performed by relatively low-skilled people at the bottom of the positional totem pole? If you do, you have a wrong impression. Servanthood is not about position or skill. It’s about attitude. You have undoubtedly met people in service positions who have poor attitudes toward servanthood: the rude worker at the government agency, the waiter who can’t be bothered with taking your order, the store clerk who talks on the phone with a friend instead of helping you. Just as you sense when a worker doesn’t want to help people, you can just as easily detect whether a leader has a servant’s heart. And the truth is that the best leaders desire to serve others, not themselves. The first mark of servanthood is the ability to put others ahead of yourself and your personal desires. It is more than being willing to put your agenda on hold. It means intentionally being aware of your people’s needs, available to help them, and able to accept their desire as important. The real heart of servanthood is security. Show me someone who thinks he is too important to serve others, and I will show you someone who is basically insecure. How we treat others is really a reflection of how we think about ourselves. It is true that only secure leaders exhibit servanthood. Just about anyone will serve if compelled to do so. And some will serve in a crisis. But you can really see the heart of someone who initiates service to others. Great leaders see the need, seize the opportunity, and serve without expecting anything in return. Servant leaders don’t focus on rank or position. A servant leader is simply one person trying to help another. Being a leader means having a sense of obligation to serve. Servanthood is not motivated by manipulation or self-promotion. It is fuelled by love. In the end, the extent of your influence depends on the depth of your concern and love for others. That is why it is so important that leaders to be willing to serve. Where is your heart when it comes to serving others? Do you desire to become a leader for the perks and benefits? Are you motivated by a desire to help others? If you really want to become the kind of leader that people want to follow, you will have to settle the issue of servanthood. If your attitude is to be served rather than to serve, you may be headed for trouble. It is true that those who would be great must be like the least and the servant of all. When was the last time you performed small acts of kindness for others? Start with those closest to you: your spouse, children, parents. Find ways today to do small things that show other you care. The next time you attend a function with a number of other people – believers, non-believers, family, friends, work mates – make it your goal to connect with others by circulating among them and talking to people. Focus on each person you meet. Learn their name if you don’t know it already. Make your agenda getting to know each person’s needs, wants, and desires. Then later when you go home, make a note to yourself to do something beneficial for a half dozen of those people. If an attitude of servanthood is conspicuously absent from your life, the best way to change it is to start serving. Begin serving with your body, and your heart will eventually catch up. Sign up to serve others for six months at the church, a community agency, to a volunteer organization. If your attitude still isn’t good at the end of your term, do it again. Keep at it until your heart changes. Gerald McGinnis – President and CEO of Respironics, Inc. If you want to grow your organization (church), you have to remain teachable. Ironically, lack of teachability is often rooted in achievement. Some people mistakenly believe that if they can accomplish a particular goal, they no longer have to grow. It can happen with almost anything: earning a degree, reaching a desired position, receiving a particular reward, or achieving a financial goal. But effective leaders cannot afford to think that way. The day they stop growing is the day they forfeit their potential – and the potential of the group or organization that they work with. Another irony of teachability is that success often hinders it. Effective leaders know that what got them there doesn’t keep them there. If you have been successful in the past, beware. And consider this: if what you did yesterday still looks big to you, you haven’t done much today. Nancy Dornan says, “The longest distance between two points is a shortcut.” That’s really true. For everything of value in life, you pay a price. As you desire to grow in a particular area, figure out what it will really take, including the price, and then determine to pay it. Teachability requires us to admit we don’t know everything, and that can make us look bad. In addition, if we keep learning, we must also keep making mistakes. But as writer Elbert Hubbard said, “The greatest mistake one can make in like is to be continually fearing you will make one.” You cannot be prideful and teachable at the same time. Emerson wrote, “For everything you gain, you lose something.” To gain growth, give up your pride. Teddy Roosevelt asserted, “He who makes no mistakes, makes no progress.” That’s true, But the leader who keeps making the same mistakes also makes no progress. As a teachable leader, you will make mistakes. Forget them, but always remember what they taught you. If you don’t you will pay for them more than once. A sign in agricultural center: “If you don’t like the crop you are reaping, check the seeds you are sowing.” That’s a wonderful principle to remember. What kind of crop are you reaping? Do your life and leadership seem to be getting better day after day, month after month, year after year? Are you constantly fighting just to hold your ground? If you are not where you hoped you would be by this time in your life, your problem may be lack of teachability. When was the last time you made yourself vulnerable by diving into something for which you were not the expert? Observe your attitude toward growing and learning during the next several days or weeks to see where you stand. Do you admit your mistakes? Do you apologize when appropriate? Or are you defensive? Observe yourself. And ask a trusted friend’s opinion. If you react badly – or you make no mistakes at all – you need to work on your teachability. Go out of your way today to do something different that will stretch you mentally, emotionally, or physically. Challenges change us for the better. If you really want to start growing, make new challenges part of your daily activities. Read six to twelve books a year on leadership or your field of specialization. Continuing to learn in an area where you are already an expert prevents you from becoming jaded and unteachable. Vision is everything for a leader. It is utterly indispensable. Why? Because vision leads the leader. It paints the target. It sparks and fuels the fire within, and draws him forward. It is also the fire lighter for others who follow that leader. Show me a leader with vision, and I’ll show you someone who isn’t going anywhere. At best, he is travelling in circles. You cannot buy, beg, or borrow a vision. It has to come from the inside. A leader needs to always see what could be and not just what is. If you lack vision, look inside yourself. Draw on your natural gifts and desires. Look to your calling if you have one. And if you still don’t sense a vision of your own, then consider hooking up with a leader whose vision resonates with you. Become his partner. Vision isn’t some mystical quality that comes out of a vacuum, as some people seem to believe. It grows from a leader’s past and the history of the people around him. Talk to any leader, and you are likely to discover key events in his past that were instrumental in the creation of his vision. True vision is far-reaching. It goes beyond what one individual can accomplish. And if it has real value, it does more than just include others; it adds value to them. If you have a vision that doesn’t serve others, it’s probably too small. To find the vision that is indispensable to leadership, you have to become a good listener. You must listen to several voices. As already stated, vision starts within. Do you know your life’s mission? What stirs your heart? What do you dream about? If what you are pursuing in life doesn’t come from a desire within – from the very depths of who you are and what you believe – you will not be able to accomplish it. Where does inspiration for great ideas come from? From noticing what doesn’t work! Discontent with the status quo is a great catalyst for vision. Are you on complacent cruise control? Or do you find yourself itching to change the world. No great leader in history has fought to prevent change. Nobody can accomplish great things alone. To fulfill a big vision, you need a good team. But you also need good advice from someone who is ahead of you in the leadership journey. If you want to lead others to greatness, find a mentor. Do you have an adviser who can help you sharpen your vision? Although it is true that your vision must come from within, you should not let it be confined by your limited capabilities. A truly valuable vision must have God in it. Only He knows your full capabilities. Have you looked beyond yourself, even beyond your own lifetime, as you have sought your vision? If not, you may be missing your true potential and life’s best for you. If you have previously thought about the vision for your life and articulated it, measure how well you are carrying it out. Talk to several key people, such as your spouse, a close friend, and key leaders, asking them to state what they think your vision is. If they can articulate it, then you are probably living it. If you have thought about your vision but never put it in writing, take the time to do it today. Writing clarifies your thinking. Once you have written it down, evaluate whether it is worthy of your life’s best. And then pursue it with all you’ve got. Also think about what you would like to see change in the world around you. What do you see that isn’t – but could be? Once your ideas start to become clearer, write them down, and talk to a mentor about them. When you look deep into your heart and soul for a vision, what do you see?